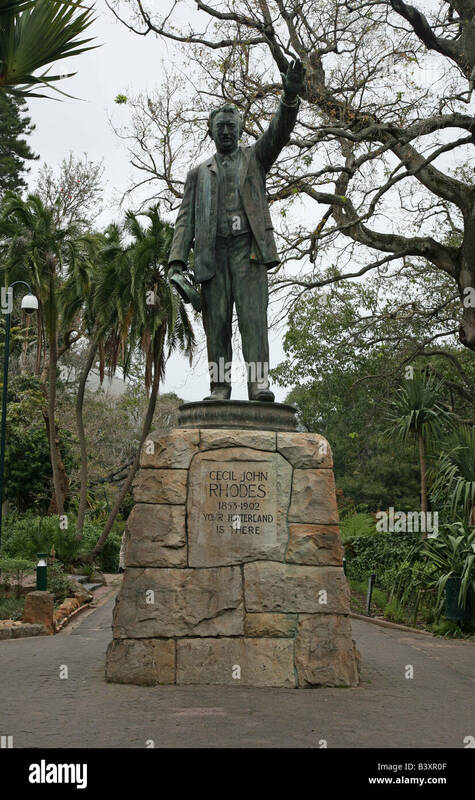 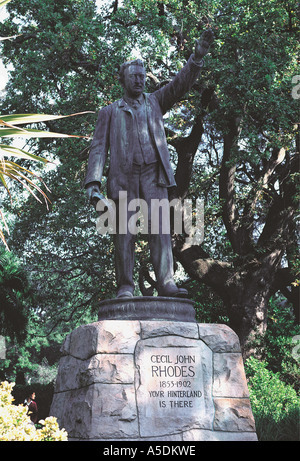 Cecil John Rhodes, PC DCL (5 July 1853 – 26 March 1902 was an English-born businessman, mining magnate, and politician in South Africa. 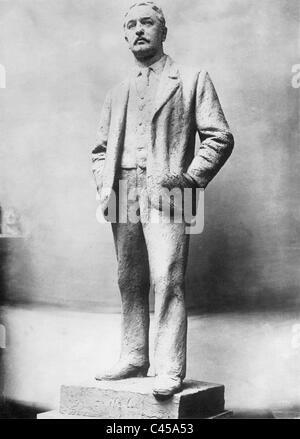 He was the founder of the diamond company De Beers, which today markets 40% of the world's rough diamonds and at one time marketed 90%. 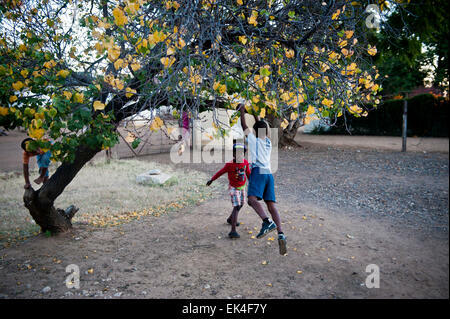 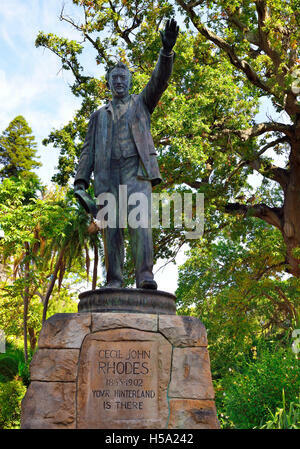 He was an ardent believer in colonialism and was the founder of the state of Rhodesia, which was named after him. 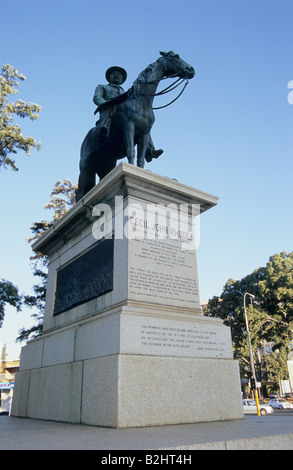 Rhodesia, later Northern and Southern Rhodesia, eventually became Zambia and Zimbabwe respectively. 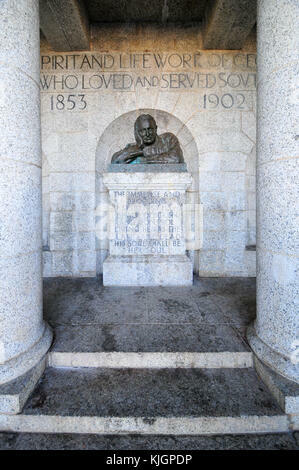 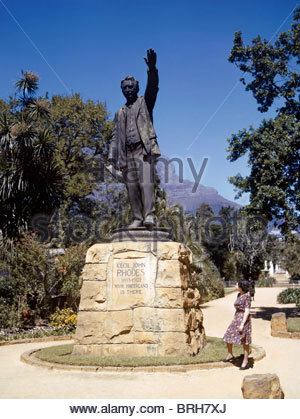 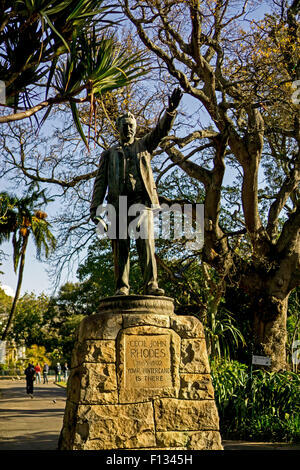 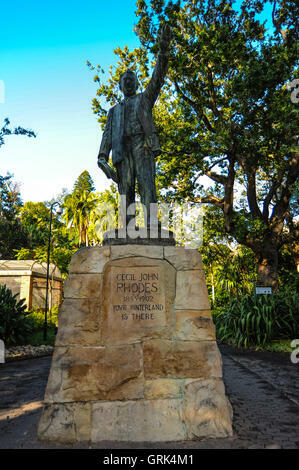 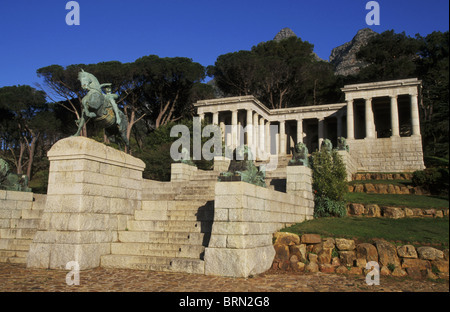 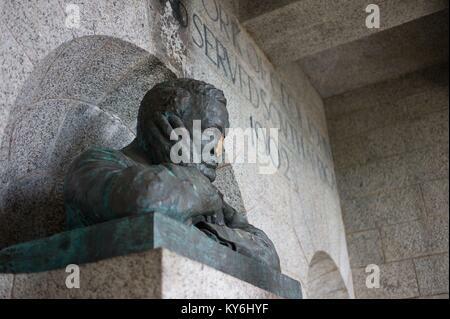 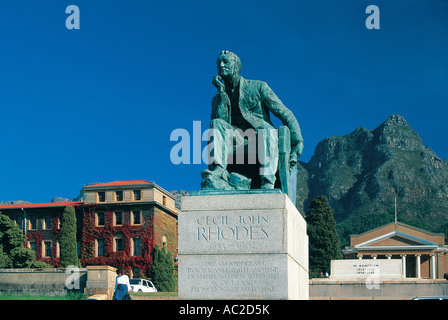 A woman looks up at a statue of Cecil John Rhodes.